Today’s topic is the history of Mississauga's Levi Creek. In the northwest corner of our city you will find the name Levi Creek – there is the Levi Creek Public School, Levi Creek Trail, Levi Creek subdivision, and likely other names that take their inspiration from Levi Creek, a tributary of the Credit River. 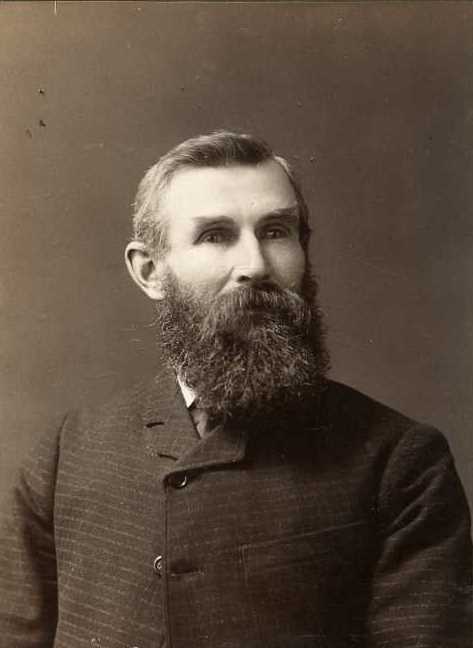 But the creek takes its name from a person – namely Levi Spencer Hall (1838-1916). Levi was the grandson of Asa Hall (1772-1845), who was an early settler in the Churchville area. Levi’s father, Hiram, cleared a road through his property connecting to nearby village of Churchville and a mill site. That road is known today as Hallstone Road (the road, and the surviving “Levi Hall” farmhouse, built in 1857 and located at 1 Hallstone Road, are now located in Brampton as a result of a change in municipal borders). Much of the Streetsville Glen Golf Club in Brampton is located on what was the Hall family farm, and envelopes Levi Creek as it winds through the property. As for Levi himself, he was actively involved in the public affairs of both Meadowvale and Churchville, and a staunch supporter of the Liberals in politics. Early maps indicate the names “Levi S.’s Creek” and “Levi’s Creek”. On a side note, David Hall, a grandson of Levi Spencer Hall, was an early member of the Board of Directors for Heritage Mississauga, served as president from 1975 to 1977, and several Annual General Meetings for Heritage Mississauga were held in the old Levi Hall farmhouse on Hallstone Road.